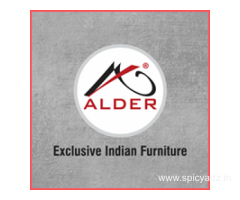 Are you looking for exclusive furniture showroom in Ahmedabad? Well your search ends here!!! We at, Palazzo - The Furniture Lounge provide furniture products with the highest quality and luxury to meet your lifestyle or standards. We have wide range of leather sofa sets that comes in leather and choice of fabric, imported dining tables, outdoor furnitures, coffee tables, and other home décor products. Palazzo Furniture also provide the complete office fitouts solutions. We sell the best quality and branded office chair & table that enhance the look of offices. We also offer custom made home furniture solutions. Palazzo Furniture showroom in Ahmedabad offers best-in-class seating products for your professional workplace, home or business places. We offer the finest Kuka Italian Leather Sofas and Selimoglu fabric sofa sets in our store to make your home or office, a worth place to sit. We provide the best for Sofas, dining, coffee tables and lightning.